On October 12, a caravan of asylum seekers, which had as many as 7,000 people in the beginning (now estimated to be down to 4,000), departed from Honduras with the intention of reaching the Southern border of the United States. A graphic shared by the caravan organizer stated, "We don't leave because we want to, violence and poverty chases us out." This continues to be true of asylum seekers fleeing their homes in search of safer countries -- including the United States, which has played a significant role in devastating countries in South and Central America. Nonetheless, the mainstream news and political cycle has consistently downplayed the root causes of immigration to the United States, including devastating economic policies such as NAFTA, support of dictatorships and military intervention. This could not be more evident as the Pentagon announced plans to dispatch 5,000 active-duty troops to the US-Mexico border and the Trump administration continues to signal potential systematic denials of asylum. Greyhounds are the oldest purebred dog, revered as gods by the ancient Egyptians. Sadly, that elevated status has been lost through the horrific practice of racing them for human entertainment. But Florida voters have an opportunity to end the cruel practice in the Sunshine State -- the epicenter of dog racing in the US -- when they go to the polls for the November elections. If passed, Amendment 13 would "[phase] out commercial dog racing in connection with wagering by 2020." The ban, which would amend the state's constitution, needs at least 60 percent approval at the ballot box to become law. Christine Dorchak, president and co-founder of GREY2K USA Worldwide, a greyhound advocacy group that has successfully ended dog racing in nine states, as well as the only legal dog track in China, is one of the drafters of Florida's Amendment 13. She firmly believes that state voters will choose to help dogs. "Our statewide polling indicates that 70 percent of Floridians of all political stripes will vote to phase out greyhound racing once they know just how poorly these gentle hounds are treated by the racing industry; I have seen with my own eyes what happens to losing dogs," she said. America's collective and individual grasp on history trends shallow, all to often based on the perpetuation of myths, and who is writing it. Wednesday night, at Bailey Hall on the campus of Nova Southeastern University in Davie Florida, the two candidates for Florida governor -- Democrat Andrew Gillum and Republican Ron DeSantis -- snarked off in their second of two debates. President Donald Trump said he will nominate a former Monsanto executive to head the Fish and Wildlife Service (FWS), the Associated Press reported Tuesday. Aurelia Skipwith, who Western Values Project Executive Director Chris Saeger called "a darling of corporate special interests," worked at the agribusiness giant for more than six years. 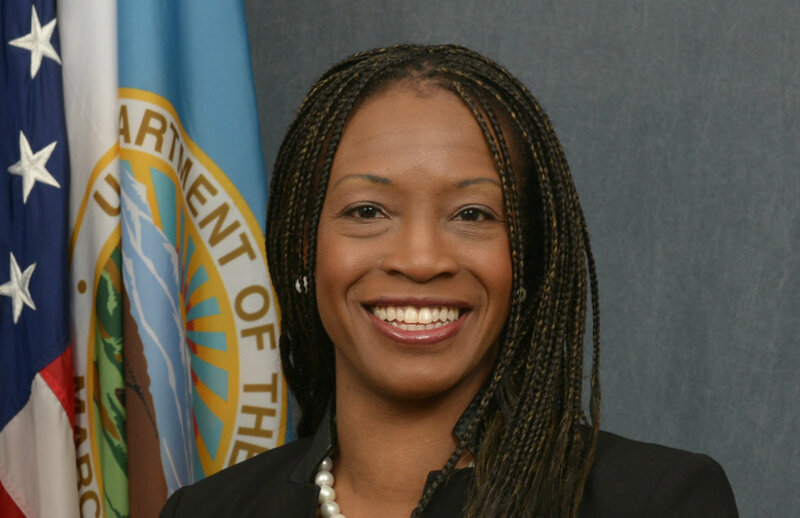 She has since worked at the U.S. Department of Agriculture, the U.S. Agency for International Development and the Department of the Interior (DOI). One of the many great parts of Saturday Night Live's recent skit about the Brett Kavanaugh hearing on the series' season premier was the cardboard image of Alyssa Milano floating in the background. Although a very a funny image in the skit, Milano's actual presence at the hearings holding up an "I Believe Survivors " sign was a reminder of the passion fueling American politics right now. Our current state of politics is pulling unlikely activists into the limelight like Milano, who has spoken about her presence at the Kavanaugh hearings to support Dr. Ford and the #MeToo movement. While I am glad that Milano and others have used their celebrity to affect political change, Milano's presence at the Kavanaugh hearings reminded me that political passion is not reserved for celebrity. With the mid-term elections coming, we can all step out to speak and share our truth. As a Nurse Practitioner, I will be voting for my patients. My name is Salim Matt Gras, and I live in the small town of Hamilton, MT, about an hour south of Missoula. Yesterday evening I attended the rally you held at our airport. I went online and obtained a ticket, then waited many hours in line to get in. The sun was setting by the time Air Force One rolled slowly up the tarmac, positioning itself photogenically behind the podium where you spoke. I know from news reports that this was not accidental – apparently your team vetoed an adjacent site because it wouldn't have as easily lent itself to good photo ops. Seems that appearances mean a lot to you, Mr. Trump. My experience teaches me that things are often not as they appear. For the past two-plus years Donald Trump has been playing evangelical leaders and organizations like Earl Scruggs on the banjo; to near perfection. And in the spirit of reciprocity, Trump has delivered to evangelicals a passel full of victories, including the moving of the US Israeli embassy to Jerusalem, encouraging anti-abortion policies, and perhaps most importantly, seating a number of conservative judges, as exemplified by the appointment of Brett Kavanaugh to the Supreme Court. What would it take for everyone's life to matter as much as Jamal Khashoggi's? "The US sold a total of $55.6 billion of weapons worldwide in the fiscal year that ended Sept. 30 -- up 33 percent from the previous fiscal year, and a near record. In 2017, the US cleared some $18 billion in new Saudi arms deals." This is from CBS News Moneywatch two weeks ago. No big deal, just a look at the US weapons biz, which has been thrust into the national spotlight recently. "Mr. Trump," the story continues, "has dismissed the idea of suspending weapons sales to Saudi Arabia to punish its crown prince, Mohammad bin Salman, for any involvement in the alleged murder of journalist Jamal Khashoggi. 'I don't like the concept of stopping an investment of $110 billion into the United States,' Mr. Trump said this week. . . ."
You may remember a few years ago, when a pharmaceutical company named Turing raised the price for Daraprim, a medication known to help with AIDS-related issues. The company bought the rights to a 60-year-old drug and changed the pill price from $13.50 to $750 overnight. While the public outcry was absolutely justified and that case was disturbing for obvious reasons, drug prices are constantly being raised with little to no public knowledge. It's not news that it costs a lot of money to be sick in the US, but why exactly is this true and why can companies raise prices with no consequences? The main reasons Americans overpay for drugs are lobbying tactics, FDA laws protecting drug companies from competition, and the persistent myth that drugs cost exorbitant amounts of money to design and manufacture.